Music Together is committed to helping families rediscover the joy and educational value of informal music experiences and applies the latest research in early-childhood music development to this outstanding program! All of our teachers have successfully completed Music Together's International Teacher Training program and have also spent 10 weeks apprenticing with a senior instructor in our classes. Music Together Trainers personally meet and train each prospective teacher at our teacher trainings offered in over 50 locations worldwide. Our teachers enjoy on-going, in-person professional development workshops throughout the year with an international teaching community on the cutting edge of music education. "Risa Waldman is an extremely special individual. Her musical gift combined with her sensitivity and understanding for young children make this class an extraordinary experience not to be missed. Every once in a while things come along in life that seem too good to be true. Risa's Making Music Together class is just one of those things!" Risa has had an extensive & joyful professional career in Musical Theatre, singing and dancing on stages across Canada, the U.S. and as far away as Japan. She even toured for many years with Donny Osmond in “Joseph and the Amazing Technicolor Dreamcoat”. Born in Toronto, her background includes studies of Piano, Cello, Music Theory & History through The Royal Conservatory of Music and Developmental Psychology & Children's Literature at The University of Toronto. She is also a graduate of the Banff Centre for Fine Arts. Risa has taught various disciplines of dance and is actively involved in Children's Television and Theatre as a choreographer and director. She can be seen in commercials, TV & Film and was a judge for the Canadian Juno Awards in 2013. Risa also sits on the Board of Directors for Education Arts Canada. Risa became a registered Music Together teacher in New York City 2003 and The Center for Music and Young Children in Princeton, NJ awarded her the Music Together Certification Level I status for outstanding achievement in teaching, musicianship, program philosophy and parent education. Jennifer is thrilled to be a part of the Making Music Together family. She comes to us with a vast knowledge and background in early education and management. For over twenty years she has worked in non-profit, muliticultural, high needs and high risk areas. Jennifer understands the importance of quality early years programs which is why all three of her children attended Making Music Together classes. Jennifer has a passion for the program and believes all children should have the opportunity to be part of something this magical. "Josie is a wonderful teacher. Totally engaging, prepared, animated, and very sensitive to both the child's and the caregivers needs. She truly is an amazing person and a wonderful music teacher." Josie, a professionally trained musical theatre artist (Sheridan College, High Honours), came upon Music Together after her daughters were too old for the program and was kicking herself for not having discovered it earlier! Luckily, having been raised in a home where music was revered and singing happened spontaneously everywhere from lunch time to long car rides Josie naturally and easily managed to create a home where music is a part of everyday family life. When Josie discovered Music Together in Toronto, she resonated strongly with the program's philosophy and she relished the prospect of teaching families the joy of music making at home. Since completing her Music Together training in 2007, Josie has been doing just that, with more wonderful Toronto families than she can count. In the fall of 2013, the Center for Music and Young Children in Princeton, NJ awarded Josie the Music Together Certification Level l status for outstanding achievement in teaching, musicianship, program philosophy and parent education. Josie is deeply passionate about music and children - and most importantly, about helping families support their child's musical journey. "Will, thank you for introducing music to my son - I think this class has made a profound impact on him!" Will is a graduate of the University of Toronto's Faculty of Music in Voice Studies and holds a Bachelor of Education from OISE, also at U of T. Over the past 10 years, Will has been performing professionally in the city of Toronto with renowned choirs including The Nathaniel Dett Chorale, The Larkin Singers and The Elmer Iseler Singers. Although choral music has been a constant in his life, Will also performs as a soloist, has toured as an opera singer with the Bicycle Opera Project and is the front man to a 12-piece funk band called Yasgurs Farm. When not singing, Will plays the violin, trombone, electric bass and ukulele. Will was inspired to become a Music Together instructor by his lovely niece Rachel who joyfully participates in the program! "Dear Laura, thank you so much for giving my granddaughter & myself your beautiful gift of music. Sharing your class with her is one of the highlights of my week!" 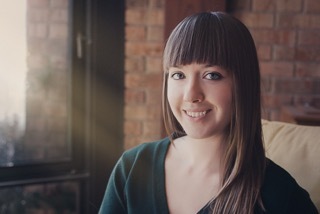 Laura Cooper is overjoyed to be a Registered Music Together teacher and part of the Toronto MT teaching community! Though her educational background is in science (M.Sc. Neuroscience, McGill University), she has never stopped playing music for fun and she has always had a special connection with young children and families. Laura is currently working as a research assistant for a postpartum depression study at the University of Toronto, and supports families during their childbearing years as a birth and postpartum doula. Laura spent 5 seasons with McGill’s Savoy Society performing Gilbert & Sullivan operettas, in the orchestra pit, on stage, and behind the scenes. She played violin on a legitimate Canadian folk album (Toll the Bell, Lakes of Canada), plays violin and accordion and sings backing vocals for the Montreal-based folk-pop ensemble, The Seacoast Barony. "Alison is an absolute star. I couldn't have imagined a more perfect instructor. She goes out of her way to make everyone comfortable and enjoying the class. She's also organized and full of valuable knowledge. I learned a lot from her classes about how music benefits children." Alison Keery is a performer, educator, administrator, choreographer and improviser! Having graduated with a BFA Honours in Dance Performance and a specialization in Dance Science at York University, Keery went on to co-found Lila Ensemble, a music and dance improvisation co-op, with whom she toured Europe in 2012. Other performance highlights include dancing in pieces created by Karen Kaeja of Kaeja d’Dance, Mi Yong Kim, Holly Small, Meredith Thompson and Peggy Baker a well as many other Canadian artists. She has presented choreography at various festivals and events in Toronto and BC. Alison is a former teacher, rehearsal director and School Administrator for the School of Canadian Contemporary Dance Theatre. 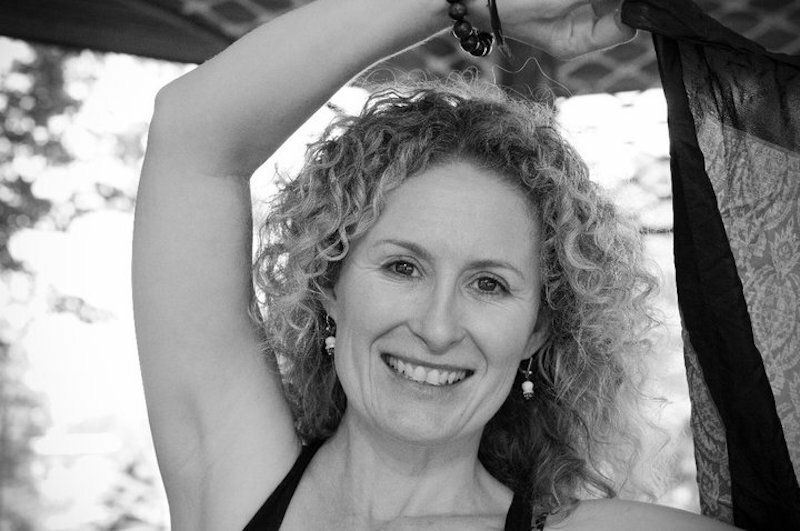 She has been a guest teacher at Arts Umbrella in Vancouver where she taught Conditioning with Imagery™ and assisted Donna Krasnow in Limon Technique and taught at Dance Science and Nutrition at George Brown School of Dance. In 2010 she developed a Movement and Creative Development Program taught within the public-school system which she continues to teach on a regular basis. She is presently further developing a movement program for babies/toddlers and their parents through Strong Start BC. Whether working backstage, teaching or performing Keery is passionate about sharing her gifts! She has a voice cares deeply about creating exceptional early-learning music and movement experiences for young children!
" My daughter LOVES Kate! Kate is so much fun and just a joy to sing along with in class. Easy going and personable." Kate is delighted to be a part of the ‘Making Music Together’ family! Kate began singing with the Oakville Children’s Choir, and throughout 9 years, toured and competed both internationally and within North America. She holds a Bachelor of Music Education in Voice from the University of Western Ontario, as well as a Bachelor of Education from Queen’s University, as a specialist Artist in the Community Educator. After 3 years of teaching full-time Junior Kindergarten-Grade 8 Music, Kate has shifted her focus to community music-making and education. She currently conducts the Intermediate Choir and Little Notes Prepatory choirs in the Oakville Children’s Choir. She also sings professionally with the Grammy-nominated Elora Festival Singers, and as part of the professional core of the Toronto Mendelssohn Choir. Kate plays the guitar, ukulele, and french horn, and is part of a three-piece Old Time band, the Wingback Stringband. She is mom to a gorgeous little music maker named Sam! "As a musician and music teacher myself, I can only offer the highest praise for Akemi. A gem"! Akemi is a Japanese descendant born and raised in Mexico. She completed her Bachelor degree in Composition at Las Rosas Conservatory in Mexico in 2004. Akemi has been involved in the creation of multi-disciplinary projects with choreographers and dancers. Her pieces have been performed in different venues both in Mexico and Canada. She has taught music theory, ear training and sight singing to children and university music students and had the opportunity to teach early childhood music education to preschoolers. She moved to Toronto to earn her Master's degree in Composition at the University of Toronto, graduating in 2008. In 2009 she joined the Nagata Shachu taiko (Japanese drumming) ensemble and became a professional taiko performer and instructor. She became a registered Making Music Together teacher in Princeton NJ and is very honored to be part of the Making Music together family. 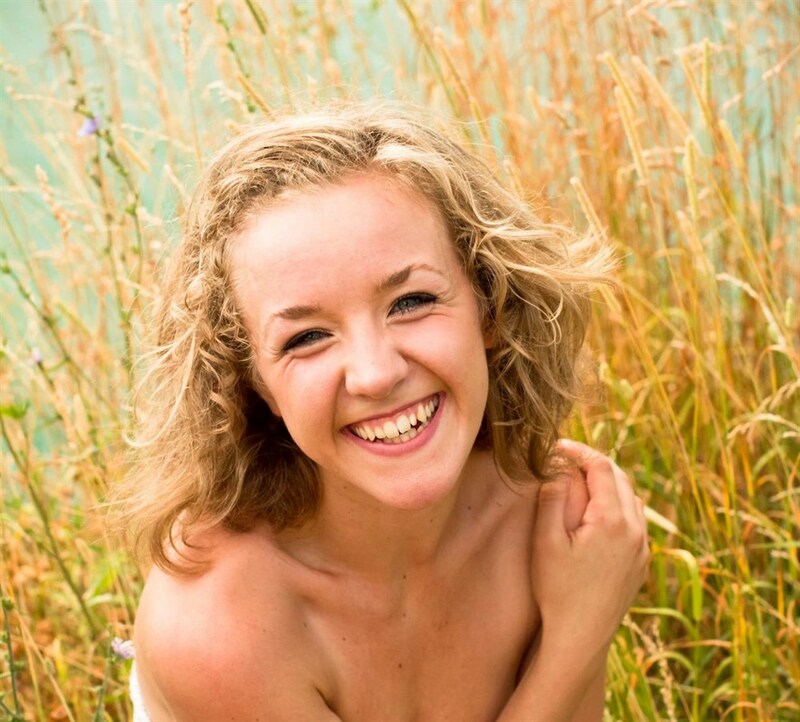 She is passionate about teaching and loves being able to share and make music with children!